Simon Waterson is a performance coach and personal trainer who specialises in getting celebrities 'film fit'. 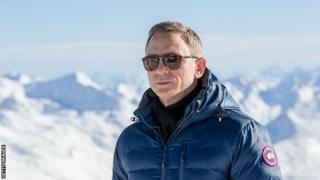 One of his most recent clients is none other than Spectre star, Daniel Craig. Simon tailored Daniel's training to the stunts they would be shooting. To break the monotony and make the routine more enjoyable, Simon included sports that the Bond actor likes and is comfortable with. Watch to hear more tips from the personal trainer. Not sure you are ready for super star training? Take a look at our guide to working out at home - even Bond had to start somewhere.